When the wearer damages another player with a tool card, they immediately draw a card. No matter how much the person was damaged, the wearer only draws one card. If more than one player was damaged by the same tool card, the wearer draws a card for every person that was damaged. The ability is not a choice, so the wearer must draw a card if they damage someone. 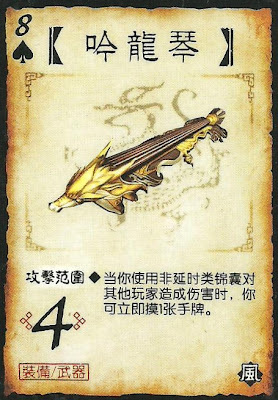 Delay tool cards do not count in this weapon's ability since any damage they cause is not attributed to anyone. It is impossible for a player to draw from Coerce in this fashion This is because the damage is caused by the attack not the tool card itself.